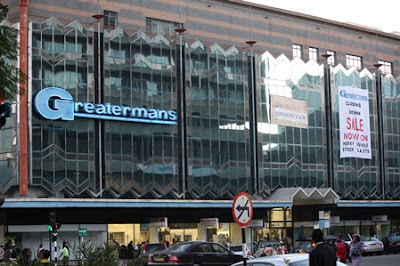 That is how long-time departmental store, Greatermans, operated by the Meikles Group along Harare’s Jason Moyo Avenue, exited the retail scene. Months later, shoppers were to discover that the “renovations” were in fact meant to change the line of business as the store morphed into a supermarket. Greatermans’ exit mirrored that of many other departmental stores in Zimbabwe that have had to close shop in the face of a tough operating economic environment. The influx of cheap imports into the country has not helped the situation. Apart from Greatermans, the country used to boast of a plethora of departmental stores like Barbours, which was also operated by the Meikles Group. The famous Haddon & Sly Store, which set up shop in the country’s second largest city, Bulawayo, in 1894, felt the pinch of economic hardships and closed shop last year. Known for offering quality shopping experience, departmental stores were special, having a whole floor with a specific range of merchandise and staff offering personalised care. “Every one of the big departmental stores offered credit terms and expert advice on a wide range of services. instruments, books, stationery and the latest long-playing records. “I miss those days very much,” said a nostalgic John Robertson, who grew up when these shops were operating in full throttle. “Some of the best in days gone by were the Railway Co-op in Bulawayo and the Farmers Co-op in Harare,” the renowned economist added. “We also had Haddon & Sly, Sanders, Barbours, Checkers, Greatermans, Store Brothers and Tedco. Former Meikles employee Stephen Chitima spoke of the high standards that characterised the departmental stores as he relived his work experience. “I was based at Meikles head office and I could easily navigate any of the departmental stores,” he said. “I remember that was way back in 2003 just after I had completed my A’Levels. “The departmental stores were really a pride of the nation, even tourists visiting the country would not want to miss the shopping experience. Chitima added: “At Barbour’s there used to be a gentleman with an English accent who used to operate the lift and he would direct clients on where to find items on each floor. “Working for the TM group was such a marvel. The departmental store staff used to wear respectable uniforms and we really had a sense of belonging. “What has led to the demise of departmental stores in Zimbabwe? As a result, there has been widespread proliferation of informal traders selling anything and everywhere. With severely eroded disposable incomes, the general public has no option but to embrace the street traders who are usually a cheaper option. Confederation of Zimbabwe Industries president Sifelani Jabangwe said the classic departmental stores where people could just walk in for the experience had since disappeared on the back of an underperforming economy. “We have certainly seen the demise of departmental stores,” he said. “It is as a result of the declining economy where smaller and nimble-footed, agile shops have taken over the departmental store concept. architecture of the country and has occupied more space for a departmental store set-up. competition to big retailers,” he said. everything just for the sake of it. that space is now expensive and scarce.